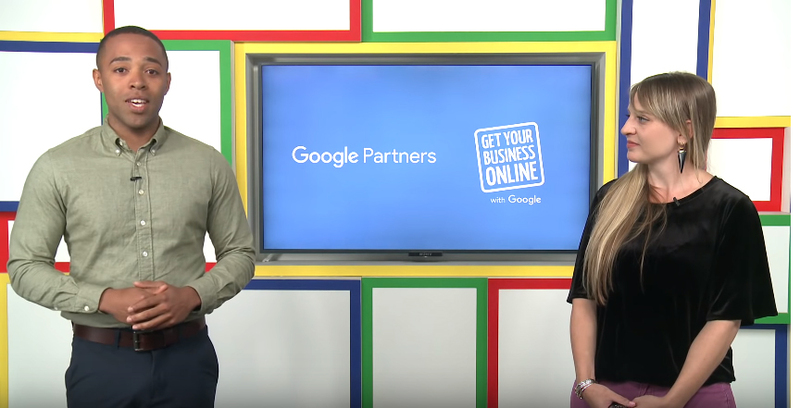 Recently, we teamed up with Google to host an event that was all about growing your business. A common misconception is that being online only works well for B2C companies. However, technology has opened up avenues for B2B companies to reach their prospects in ways that previously didn’t exist. The biggest takeaway from our presentation with Google? Customers have become research obsessed! Before you go thinking that this only applies to B2C, it might actually be even truer in B2B sales. Industrial buyers are always researching before buying. Every decision they make needs to be an informed one. This is why it is important for your company to have a strong online presence. Being online gets you found by your potential customers and gives them the necessary information they need to make a purchasing decision. Google’s research showed that businesses with well-filled-out listings are 50% more likely to get a sale. Although this statistic is skewed toward products with short sales cycles, there’s arguably more value for businesses with longer sales cycles. If it takes several months before your sale is closed, you can be guaranteed that your contact, and probably their bosses, will look you up online to make sure you’re legit before signing the PO. Appearing in a favorable light online sends the right signals to help your deals close. 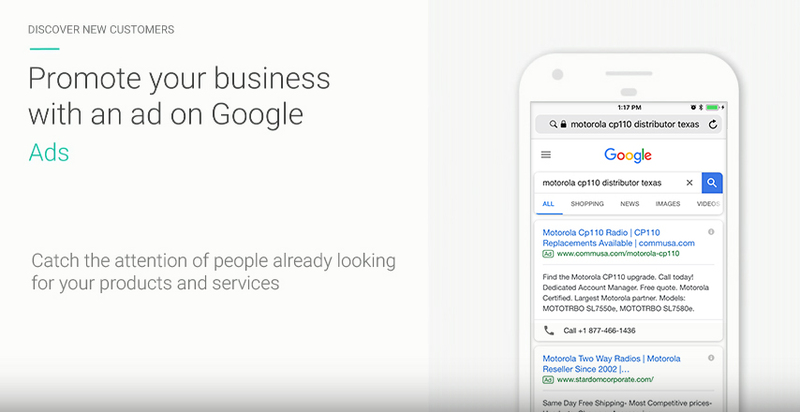 Google My Business is a great place to start. Google My Business listings appear at the top of Google search results when prospects search your company name. They’re free, too, so you don’t need to ask for budget approval to get your listing going. Searchers are getting savvy to the ways search engines work best, and now are very specific with the terms they search for. Instead of searching for “submersible pump” and scrolling through pages of results to find what they need, you’ll find them searching “VFD submersible well pump”. And if they’ve really honed their search skills, they’ll add a location to that search too. This means you need to be easily discoverable online. Not just for your company as a whole, but also for each specific product and service that you offer. This is what we call “precise tail SEO”. The more specific the search for your product, the more likely this search is being performed by someone looking for this specific product or solution. And search intent is key to getting more phone calls and email inquiries. Believe it or not, industrial buyers are looking online before they reach out. Don’t you want them to find you instead of your competition? As we all know, a sale isn’t made every time someone sees your business in a search. All that interest you’re generating through your business listing, prospecting, website, and advertising has traditionally not generated much in terms of sales results for B2B companies. But what if that wasn’t the case anymore? A common B2C trend is that people often go to a website to see if an item is in stock before going to a store to buy it. The same applies to B2B, but with a twist. Industrial buyers research online before picking up the phone to start the sales process. Guess what? They expect relevant and accurate information. If you don’t have it on your website, it might instantly take you out of the running. Providing your potential buyers with spec sheets, technical data, and case studies will get you more workable sales inquiries. One key way to turn your downloadable sales content into leads for business to business companies is through content gating – click through for a whole post on what this is and how to use content gating to know about who is interested. Remember, customers today are research obsessed and want as much information as possible before they get in touch with you. Today’s B2B purchase making decisions involve employees at all levels, not just the C-suite, so knowing which influences are researching your products is key to finding your champion in the company. 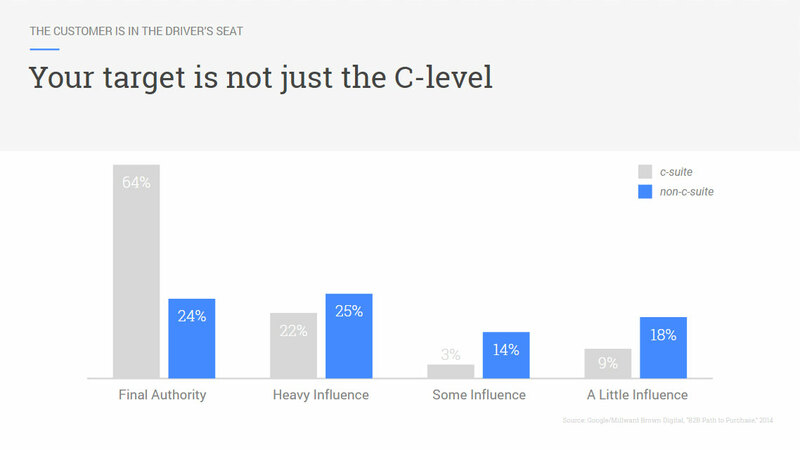 Google gives great exposure to people with purchase intent for very specific industries and products. We take that intent and turn it into identified prospects, then tell you which ones are most interested in your offerings – and when. With this business intelligence, you can figure out which potential customers are actually interested, allowing you to focus on the leads most likely to buy. 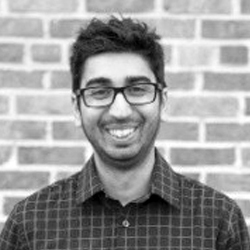 Amit has daily conversations with potential customers here at ActiveConversion. His goal is to not only educate but to inspire and explore where we can support their growth goals. In his spare time, he takes weekend getaways with his wife and supplements his sneaker collection.